Ever so often one of those emails we get has a really useful tip. My husband sent me one that proved to be just that. 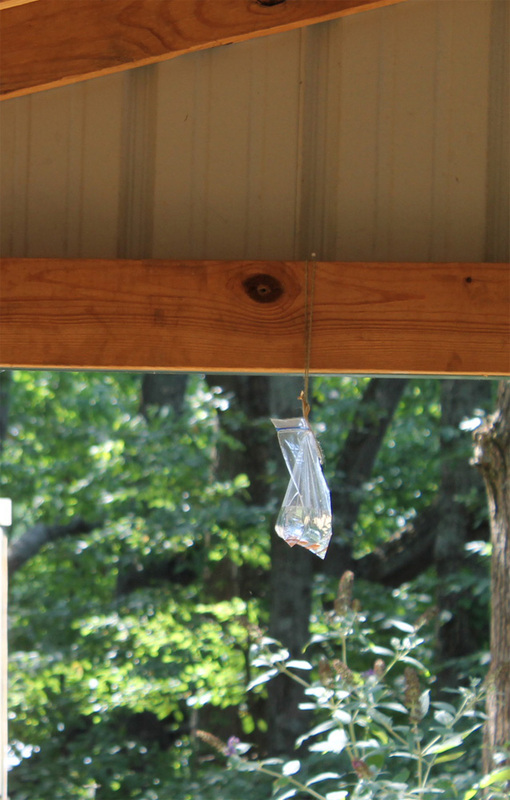 This actually will repel flies. The science behind it has to do with the way a house fly's eyes work. Because of the multiple eyes, the fly sees the pennies in this little trick as a BIG predator and will not venture near. 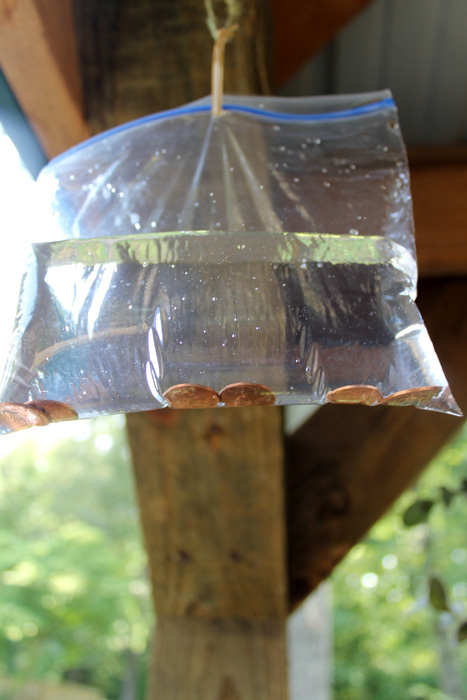 The instructions said fill a zip lock baggie part full of water, add 4-6 pennies and zip. Hang around the space you want to be fly free. I put new pennies in mine (shiny) and hung them on my deck rail. We were eating watermelon on the deck after I hung them up. I actually watched a fly sitting on a plant hanger and it did not come onto the deck! 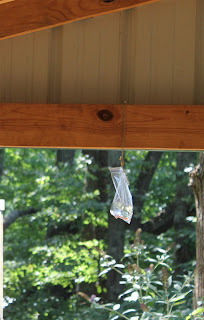 I have hung them from the ceiling on the porch now and still no flies. What good ideas I've found on Pinterest! I am a writer, Master Gardener and artist living in Middle Tennessee. I have written for hire in devotional journals for women, My books Step by Step Guide to Plant Propagation Revised Edition and Mary of Bethany The Untold Story are available in paperback and Kindle edition on Amazon. I own a backyard nursery called Mimi's Greenhouse where I grow and sell herbs, Hosta, perennials and flowers. I have a non-gardening husband who puts up with all my crazy garden projects! Bill is an artist also and understands my creative side even though he cannot tell a begonia from a dandelion! We have a Shin Tzu dog, Pookie Bear, and a rescued Labrador, JoJo. I am a mom and a proud grandma. I tend to be politically conservative, but I love my liberal friends Too. I am a born again Christian.